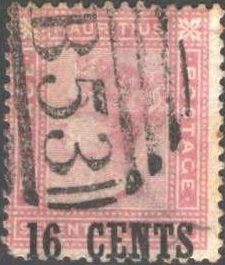 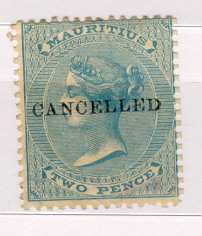 These stamps exists with overprint 'CANCELLED', this overprint was applied to stamps sold in large quantities to stamp collectors (or dealers?). 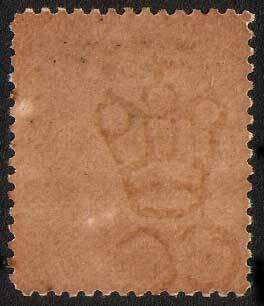 They are not very valuable with this overprint. 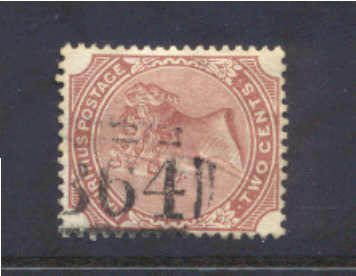 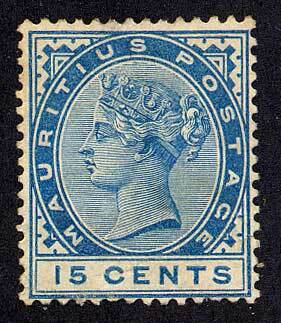 These stamps were first issued in 1860 without any watermark. 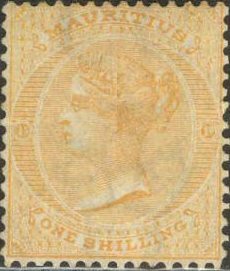 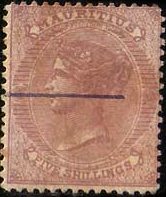 In 1863 they were also issued with watermark 'CC crown'. 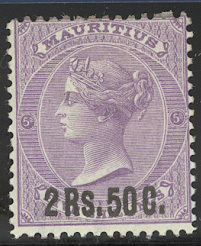 A booklet about the 'B53' cancels has appeared: 'The B53 Obliterators of Mauritius' by Ken Baker.